Have you spotted our Christmas Tree in town? Come into Room 6 to check out of week of "Grinchmas". Our end of week tr eat was to make Grinch Kebabs.. the photos say it all! 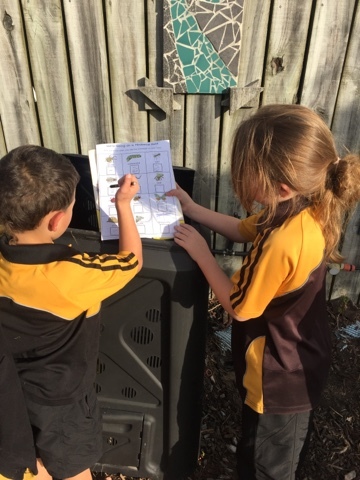 Student Led Conferences are just around the corner, it's time to start practising so we are ready to share our learning with our families. 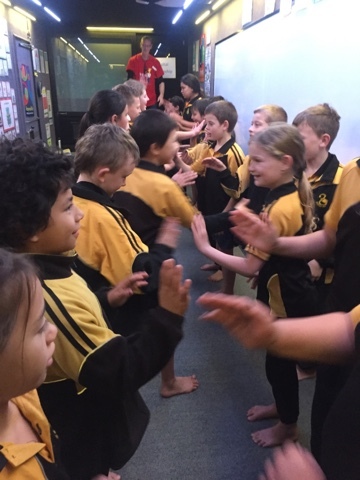 Here are Room 6 getting ready. 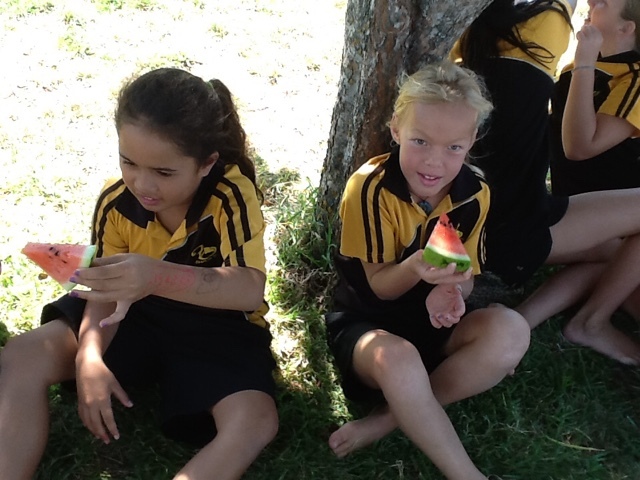 Room 6 have had a great start back to the term and enjoying the most of this beautiful weather. Our Inquiry for this term is 'Mighty Midgets and Tiny Tyrants'. 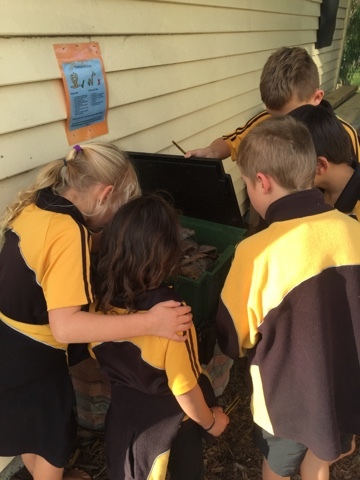 We have been on the hunt for these many creatures living in our school environment.Over the coming weeks each reading group will be learning about different insect, this week we are investigating - Sand flies, Worms, Stick Insects, a Fly and Praying Mantis. 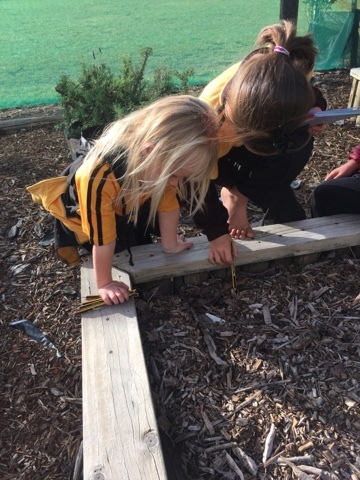 We visited the butterfly garden to check on the many caterpillars we had been observing at the end of term one and Wow many of the plants had been stripped bare and the fence is covered in the next round of Chrysalis. 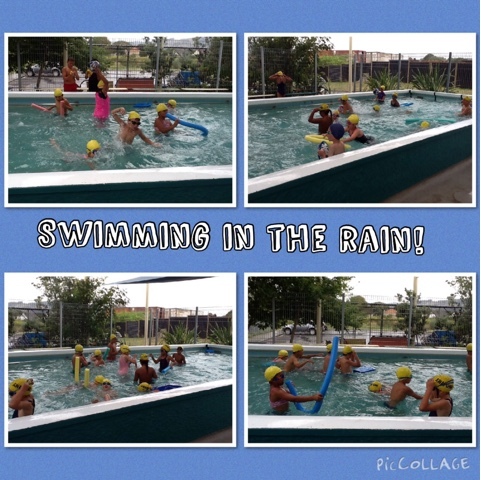 We hope they get a wiggle on in their development before the weather turns cold! 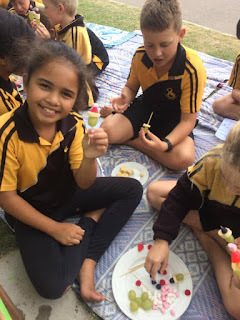 The students are enjoying writing about the many adventures they had during the holidays and we are also learning and writing about being a good friend. Today the students wrote some beautiful poems about their best friends. Keep an eye out for these wee gems once they have been published. 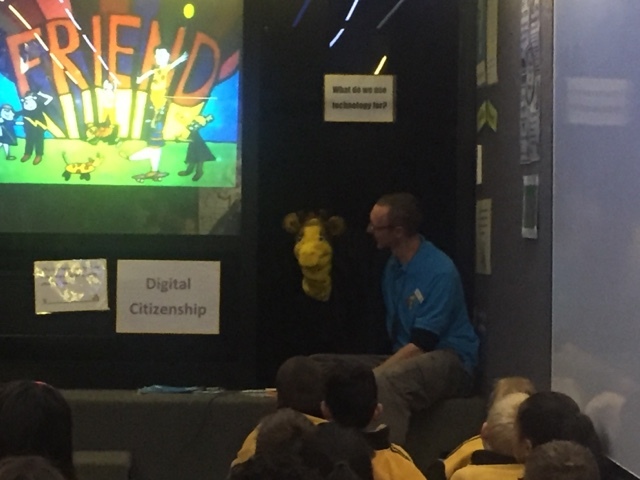 Digital Citizenship is an important focus as we embrace the new challenges and learning that comes with the launch of Chrome Books in Team Pango. 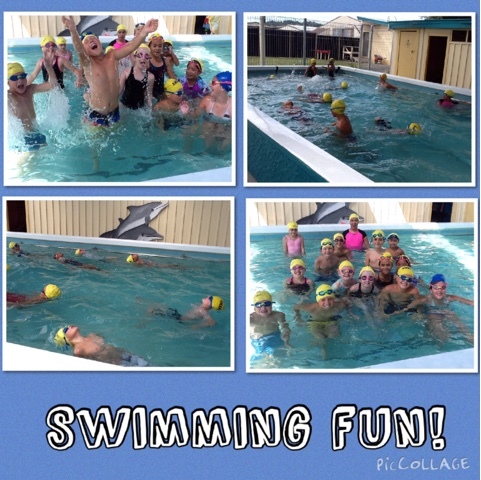 The students are enjoying this new challenge and show great enthusiasm each day as we learn something new. 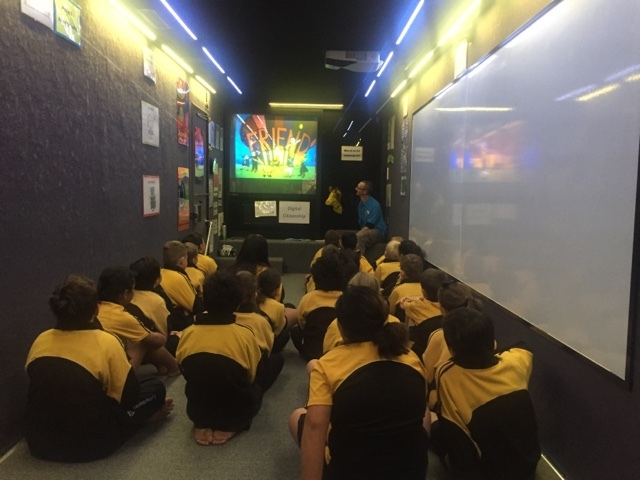 Today I introduced Dance Mat Typing which is an interactive program to help with keyboard skills. In Mathematics we are learning about measurement - ask your child to explain the difference between a non standard and standard form of measurement. The students are measuring anything insight (including themselves and others)using both forms of measurement. 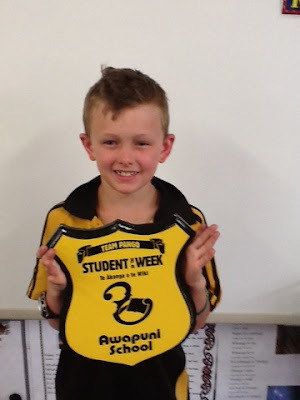 We are so proud of you ... You demonstrate all the qualities that make an ‘Awapuni Super Kid’ along with being an excellent role model in Team Pango. You take pride in your school work always striving to present quality. You are developing a growth mind set and I this is especially evident when we have discussions around problem solving. I enjoy listening to you explain your thinking and observing you challenging yourself. 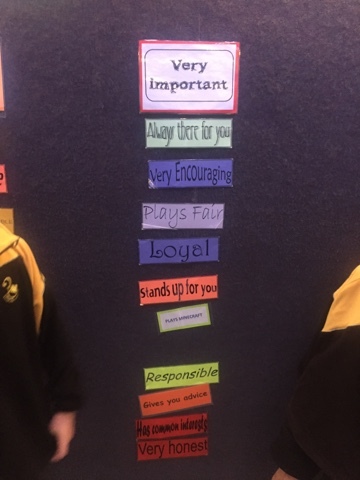 You are a reliable classroom monitor who takes pride in any task you do whether it be big or small. 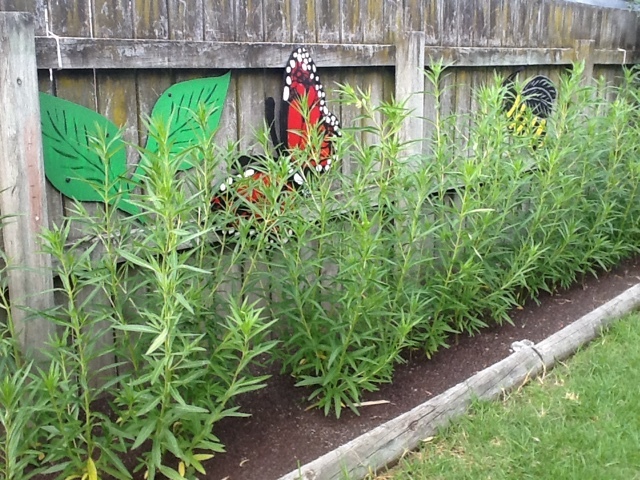 I appreciate the care and attention you have put in during your time as the ‘Butterfly Garden’ monitor. Your informative recounts about how many Caterpillars have turned into chrysalis and Butterflies that have hatched are enjoyed by all. 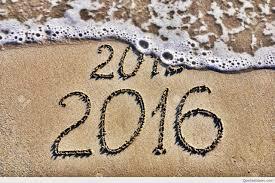 You show a great enthusiasm for learning and I know this will continue throughout your learning years. Check out our cool movie we made to present at Kind Assembly. We worked individually and in small groups to create our sentences and practice saying them too! We were inspired by Kid President. Yummy, delicious, fleshy, juicy and even yucky! 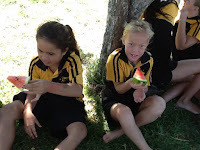 ... are just a few of the words we used when describing eating watermelon. 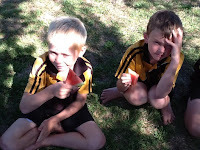 It was a fun time sitting out int he sun enjoy this summer fruit. 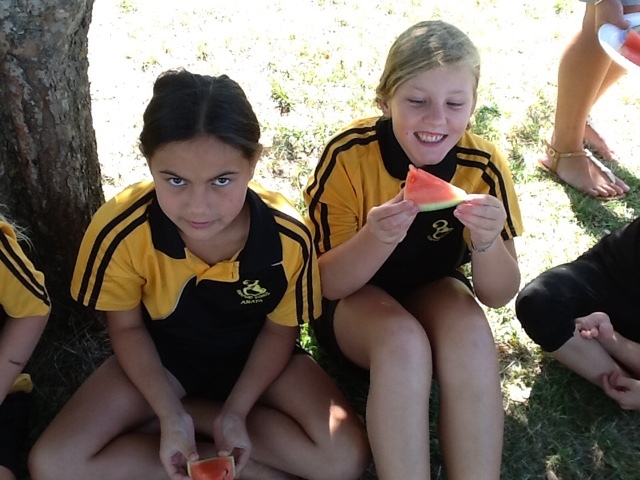 Watermelon really is the taste of summer. You have been working hard and focusing on your learning. This was evident in your lovely poem 'Who am I' using describing words to paint a picture in the readers mind. Well done keep up the great work. 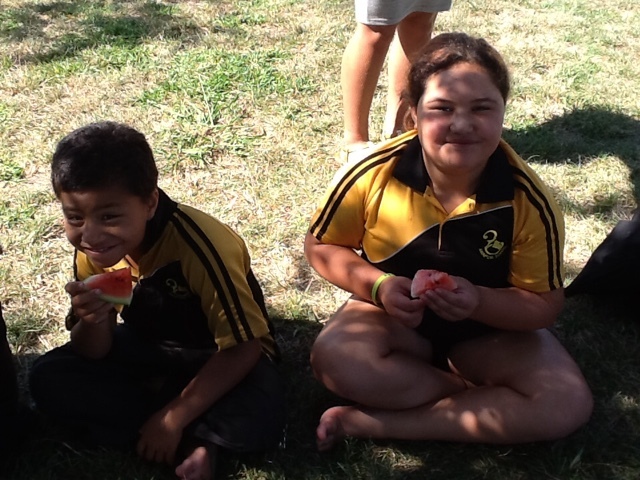 You have been a kind and caring Awapuni Kid supporting your friends and classmates during our Sleepover and Marine Reserve visit. What a great role model you are. After our recent adventures we created some art of what we could see down at Midway beach. 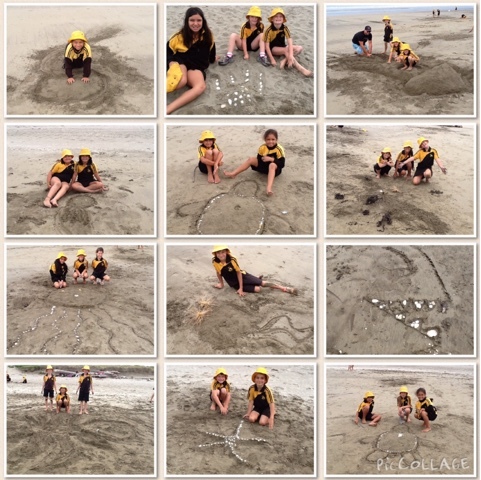 We used a few treasures we found amongst the sand dunes to create a 3D piece of art. Come on in and view our art... it is on display in the school hall. What a beautiful morning we had for our marine reserve adventure. Off we go into the rock pools to discover many treasures from the sea. We used a Go Pro to capture moments out in the marine reserve. Keep an eye out for new blog posts... I will be uploading highlights very soon. 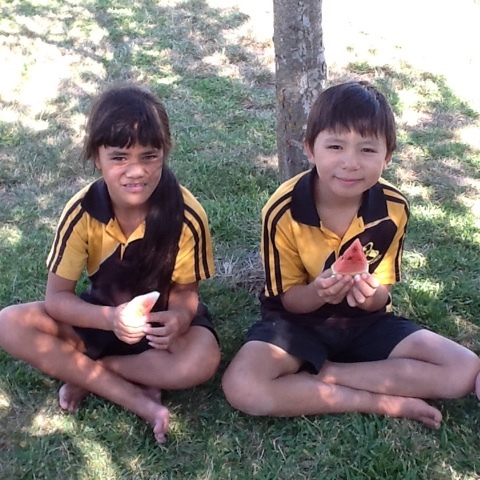 Click here to view Oliver and his mum with a moving Paua! Sleep over report... 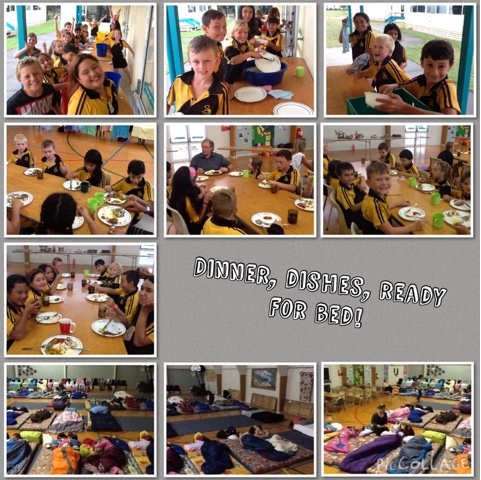 Swimming in the rain, Science fun, dinner, dishes, games, setting up our beds, supper, teeth and all snuggled up in bed asleep... ready for our next adventure. Wow what a busy few days we have had. 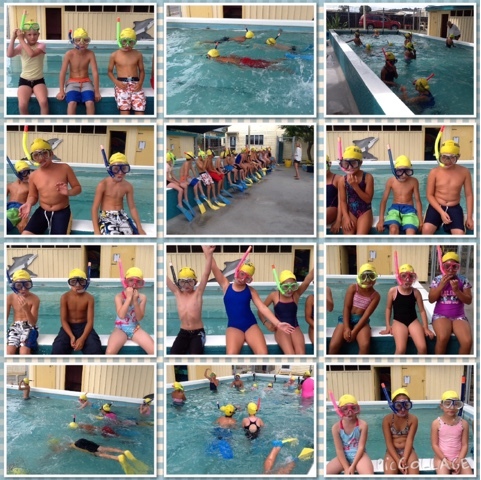 Amy came in and taught us all how to use a snorkel, mask and flippers ready for our big adventure on Thursday. 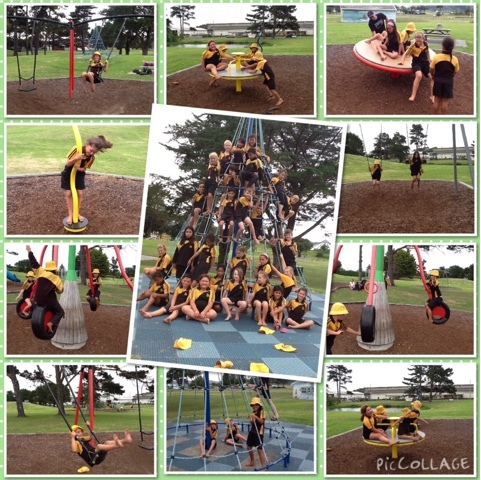 Our activity day was fun filled with sandcastle competitions, finding treasures on the beach and a picnic lunch at the adventure playground. 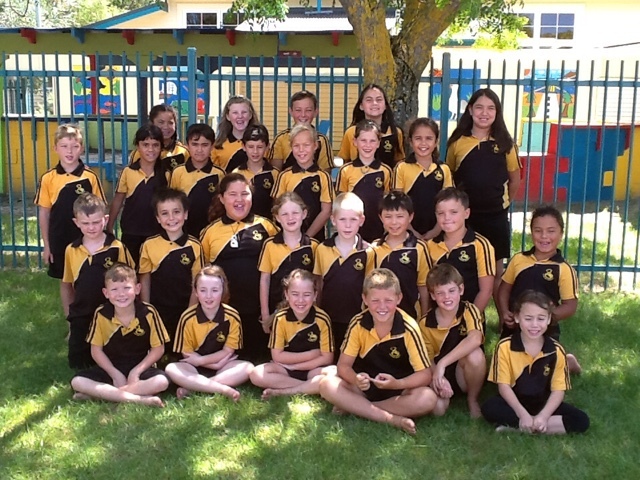 Click here to view week 3's Newsletter. 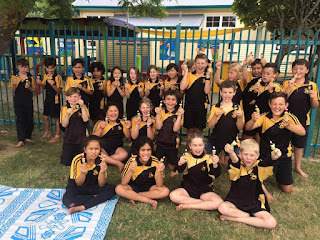 You have had a great start to your learning year in room 6. 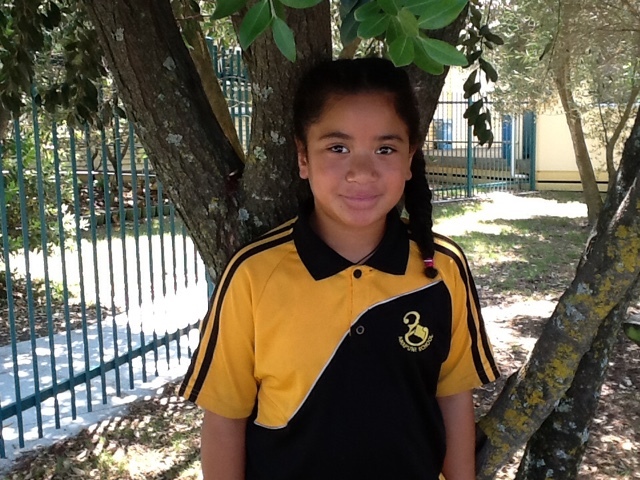 You are a great role model to others who is always keen to help out and share ideas. 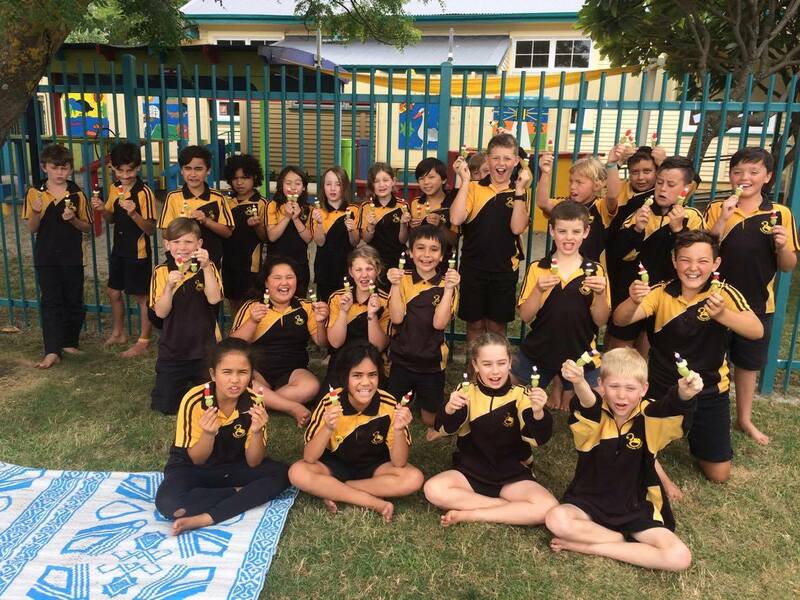 You are a kind and caring friend and we are lucky to have you as part of our room 6 family for 2016. 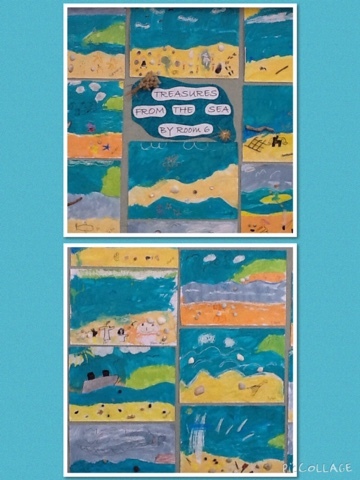 We have been reading the book called -Treasures from the Sea. 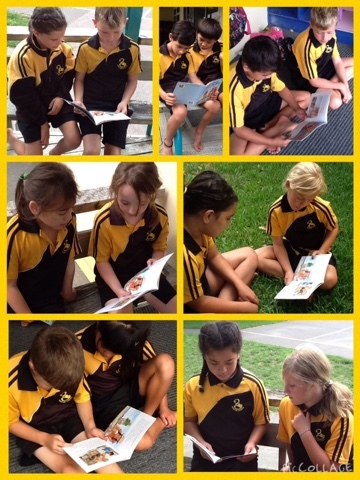 We all enjoyed reading it together and with our buddy. It was fun creating a Venn diagram of what Megan found at the beach and what we have found at the beach. Some things were the same. It's amazing what treasures you find at the beach! 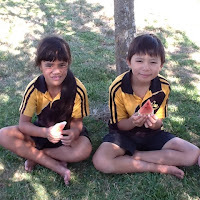 I wonder what treasures we will find when we go to the Marine Reserve? With my group of lunch time helpers we lifted the netting that has been protecting the Swan plants while they were growing. 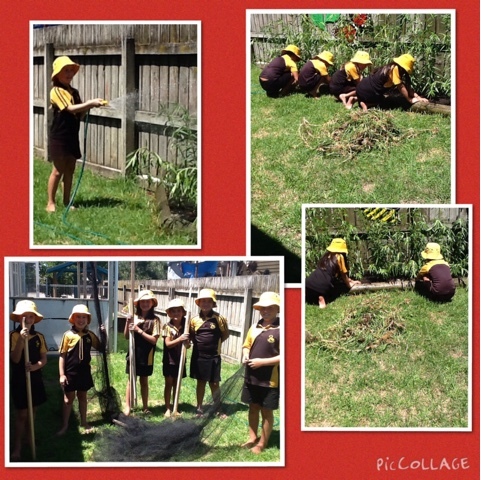 We weeded the garden and now it's all ready for butterflies to start visiting. How big have your Swan plants grown? 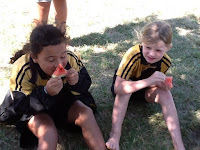 Remember to bring your togs every day, Pat starts with us on Tuesday the 9th and we have snorkeling lessons with Amy & Jo on Tuesday the 16th February in preparation for our Marine Reserve visit on Thursday the 18th February. 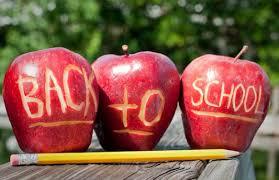 Wow, what a fantastic week one we have had to kick start our learning year. 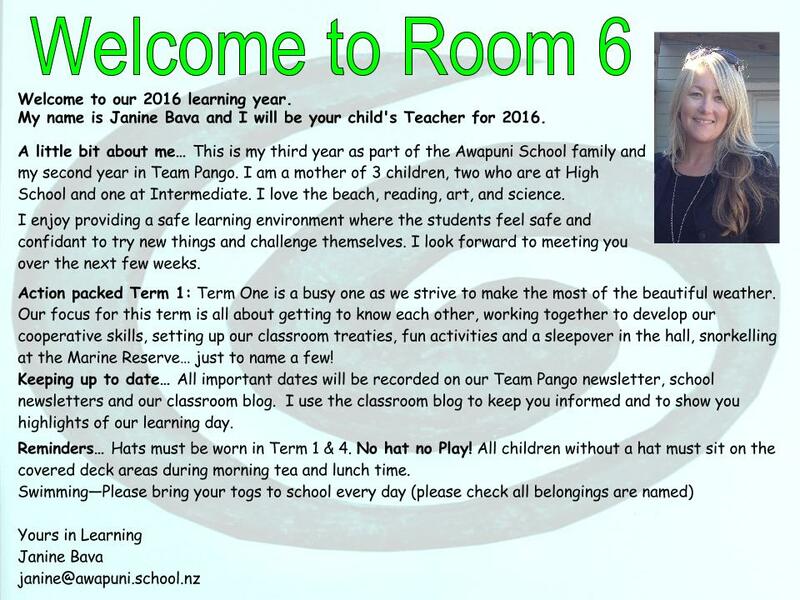 We have a busy term ahead so just a reminder to keep an eye out for the Team Pango newsletters, our classroom newsletter, right here on our blog and also the students bags for latest updates. 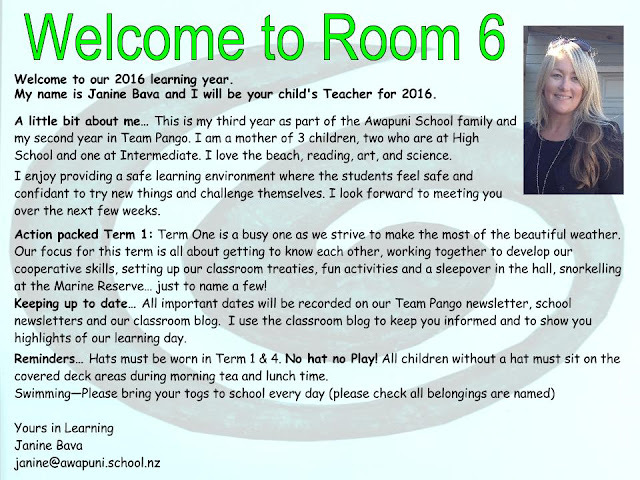 Wishing you all a warm welcome to Room 6.